Thanks WKC for keeping on top of this from your neck of the woods. Showpoodles, I remember that song as well! Carm, you said what we are all thinking! DeOrr Kunz family files lawsuit against former P.I. The grandmother is not giving up, sad. IMO, this case has officially gone cold. The Kunz family is still holding out hope that they will find 3-year-old DeOrr Kunz Jr. In fact, they plan to look for him again on Saturday near the Idaho campsite where he disappeared in July of 2015. Trina Bates Clegg, DeOrr Jr.'s grandmother, says she's not going to give up because that would be giving up on DeOrr, but did add that she does realize if they do find him near the campsite, the outcome won't be a good one. Clegg says she and her husband have gone up at least once a month since his disappearance to search for DeOrr. She says she was up there two weeks ago with Jessica, DeOrr's mother, putting up hundreds of flyers with a description of what he was last seen wearing and a picture. It's all in hope that someone up in that area may know or have seen something. Clegg plans to get a group together this weekend to go up and search the campsite area. Although, she says this search will be a little further north. "Where was he last seen? Where were you standing? All those kind of things and that's been so beat up that we know where they were all standing. We know where the baby was last seen. Let’s start further out and let’s come back in," Clegg said. Clegg says future searches could include walking along Highway 28. She says that's because if someone did take DeOrr, maybe they threw his clothes or boots along the highway. The Lemhi County Sheriff's Office has named both of DeOrr's parents, Jessica Mitchell and DeOrr Kunz Sr., as suspects in the case. Clegg told KTVB she's OK with her daughter being named a suspect because she was there. Thanks for the link Molly. You keep posting if you see anything of significance pop up locally. This last article made me sad because, as a grandmother, I don't think I could give up either. So I crossed it off my list to update. This is latest in news. Nothing new just Klein saying more stuff. 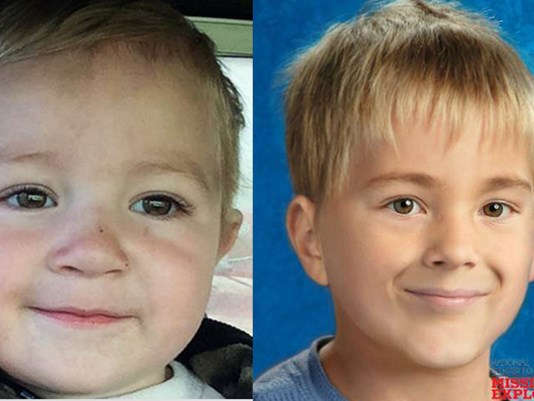 DAHO FALLS, Idaho (KIFI/KIDK) - In a post on their Facebook page today Klein Investigations and Consulting announced that they were moving the DeOrr Kunz, Jr. case from active case status to cold case status. They stat that this means they no longer have any credible leads to move forward with. Sorry but not surprised to hear that it is moving to cold status. Sheriff: Remains of child found are ‘absolutely not’ DeOrr Kunz Jr.
Hmm... If it is DeOrr perhaps the Sheriff is just throwing that out there so his monster parents don't flee? They maintain that they will not know much until all the analysis is complete on the remains. I cannot find the link to the other story I think they took it down. Thanks WKC so sad. Little tiny children. I do hope DeOrr is found and his killers are punished. What is not mentioned in the article is that .. the parents dropped their lawsuit last week against the private investigator they hired. Probably got to the discovery phase (depositions, interrogatories). AND they are still looking for him. LEADORE -- The National Center for Missing and Exploited Children has released an age-progressed photo of an Idaho toddler who was reported missing during a family camping trip in Lemhi County in 2015. The new composite photo shows what DeOrr Kunz Jr. may look like today, at four years old. DeOrr's parents told authorities the boy disappeared from a campsite near Leadore July 10, 2015. Searchers have repeatedly combed the campground and nearby forest and reservoir, but no trace of the child has been found. No charges have been filed in DeOrr's disappearance, although then-Lemhi County Sheriff Lynn Bowerman told KTVB he believes the boy was killed. DeOrr's parents, Jessica Mitchell and Vernal DeOrr Kunz, have been named as suspects in his disappearance, and have been "less than truthful" with investigators, Bowerman said. Both Kunz and Mitchell have denied harming their son. Thanks WKC, coverage is good, maybe someone saw something and will still come forward. On a side note very cool that you work with the search and rescue animal units! I still hope they find Deorr and burn his parents at the stake if they are the responsible party (which I think they are). Another local report. Not anything new but just to keep thread current as possible. In this edition of East Idaho Newsmakers, Nate Eaton speaks with Trina Bates Clegg. She is the grandmother of DeOrr Kunz, an Idaho Falls toddler who disappeared while on a camping trip July 10, 2015. It’s been two years since DeOrr vanished and authorities say they haven’t uncovered any signs of where he could be. Clegg’s daughter, Jessica Mitchell, is DeOrr’s mother and investigators have named her, along with Vernal Kunz, DeOrr’s father, as suspects in the case. They have not been arrested or charged with any crime. Clegg discusses the case in-depth and talks about a recent age progressed photo of DeOrr released by the National Center for Missing and Exploited Children. She also shares what’s next for her and her family and why she’s not giving up hope that her grandson is found. Seems like a lot of dead ends. Poor little Deorr. IDAHO FALLS, Idaho (KIFI/KIDK) - Tuesday marks the three-year anniversary since DeOrr Kunz, Jr. vanished while camping with his family and a family friend near Leadore. His family invites everyone to meet them at the Idaho Falls Greenbelt at 6:30 p.m. to remember their little boy and walk for his return home. The group will meet by the restrooms by the falls on the west side. "I will never stop asking for help,” said Trina Clegg, DeOrr ’s grandmother. Not sure he knew many details but one of the people that was actually there is now gone. New article. No new info. Just more drama. OK now I am back in the thread I thought I was in to start with!